lucky subscriber every Sunday (a total of 14 cars). 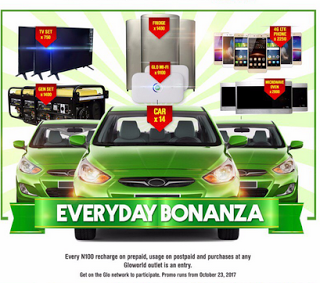 subscribers, all they need do is use up to 100 naira daily to qualify. subscriber recharges his or her phone. or 250 naira on voice call within the seven days leading to the free data day. 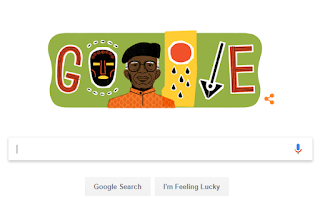 Google celebrates Chinua Achebe’s 87th birthday, today. Displays his image on Google homepage.